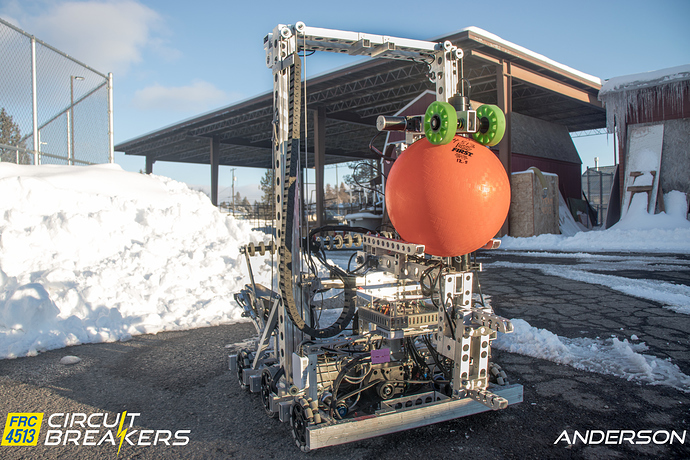 Team 4513 is proud to present our 7th creation, Anderson. 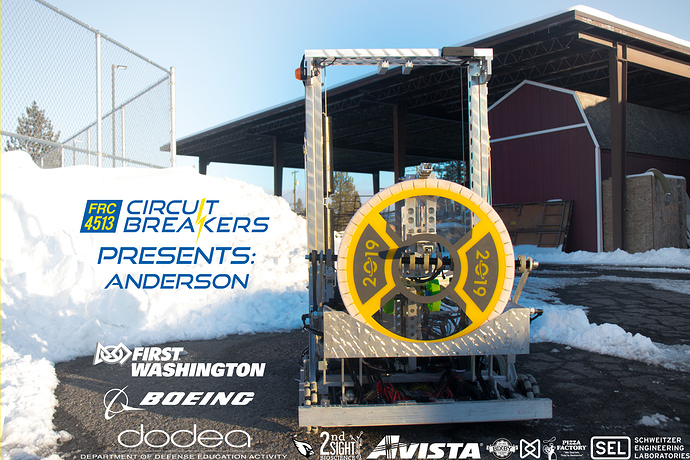 Anderson will be competing at the PNW Mount Vernon and PNW West Valley district events. Michael P. Anderson, originally born in Plattsburgh, NY, moved to Fairchild AFB not long after birth. He thought both of Fairchild and of Washington State as his home, and did most of his schooling in Washington State, graduating from Cheney High School in 1977 and the University of Washington in 1981 with a Bachelor of Science degree in Physics/Astronomy. After spending 13 years in the Air Force through various communication and piloting outfits, he was selected in 1994 by NASA and qualified in 1995 to be an astronaut. Flying on STS-89 and STS-107, he logged over 590 hours in space before he was tragically killed in the Space Shuttle Colombia Disaster. Working with Fairchild the past three years and having many current and former residents of Fairchilld AFB on the team throughout our existence, we felt it was right to name our bot in honor of him and all of the crew of the Space Shuttle Colombia. Good luck to everyone competing this year! That’s a pretty interesting yet simple solution to intaking both cargo and hatches from the floor. Looking forward to seeing this robot on the field! After an eventful couple of events, Team 4513 will be at the Houston Championship with their bot redesign, Ander2.0n. 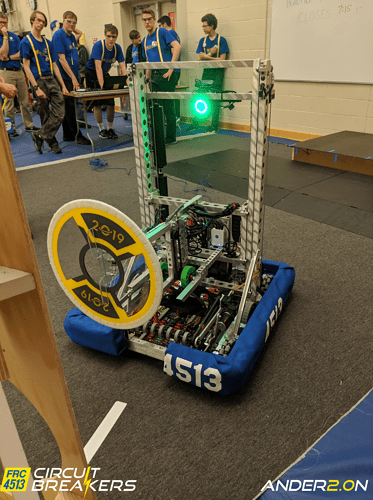 Averaging 7 game-pieces at PNW DCMP while rotating defense into the mix, 4513 was able to sneak into the semifinals after being picked by the 5th alliance of 2147 and 3663. Check out our DCMP Highlight here, and be sure to check our bot in the Turing Subdivision at Houston!